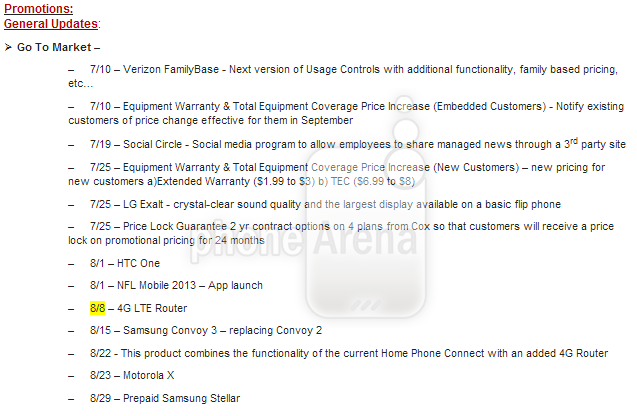 According to a purported document out of Verizon corporate stores that was obtained by PhoneArena, we may have a look at the roadmap of the company’s device releases and policy changes through the end of August. First, this roadmap touches on the July 25 price increase of extended warranties and Total Equipment Coverage, which we first reported earlier in the week as happening. 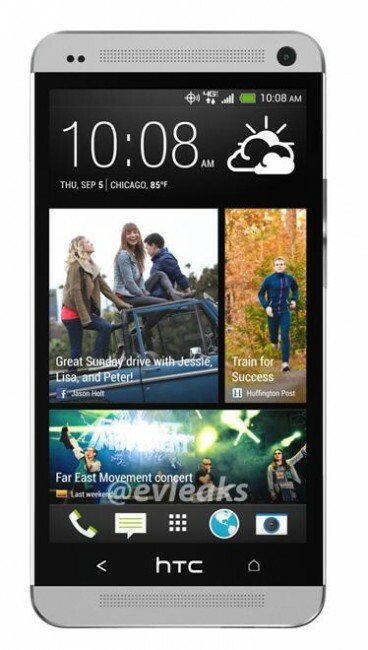 After that, it dives into the good stuff, namely the HTC One and Moto X. If this document is accurate, then Verizon currently has the HTC One penciled in for an August 1 release. I’d certainly hope that they wouldn’t push it out any further than that, especially now that we’ve seen an official press render for it appear, along with a sighting of the phone at the FCC. The Moto X on the other hand isn’t supposed to arrive until August 23, again, if this document is to be believed. That’s a little over a month away, and could be a possibility, especially since we haven’t seen an official announcement out of Motorola’s camp. All signs point to the Moto X launching on all major U.S. carriers – hopefully Verizon isn’t last to the party with this late August date. As you’ll see below, the new DROID lineup is no where to be found. If you were hoping to snag a DROID ULTRA, MAXX, or Mini before we hit September, you may be out of luck.